With too much possibilities of earning money online and endless opportunities with lots of newly launched platforms people are stuck in thoughts about how to actually earn money online without paying a cent. 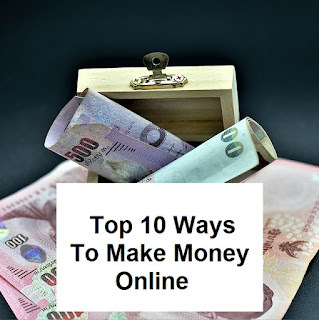 If you are a newbie at internet and don't know how it works and how you can make money with it then here's a simple and useful list of top 10 ways to make money online without investment. So that you don't have to spend your hard earned money on testing things. 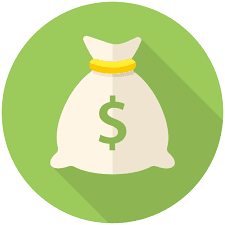 Before giving you some information about these top 10 ways to earn money online without paying a cent to any third-party I want you to know that there are many professionals who are now earning thousands of dollars by these methods of earning money online. So if they can then why you can not? You can join these platforms for free and create your gigs so that you can bid on projects. 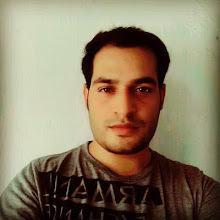 If you can do things like content writing, data entry, image editing and things like that which you can find in categories of above platforms then you are good to work online and make money by doing what you can actually do at your comfort zone. I always add this method at the #1 spot on every make money topic related blog post but today its on #2 because freelancing is something everybody can do and blogging comes the second best choice. I am saying this on behalf of my own experience and its true. So that if can make money doing freelancing then you can also start earning money online doing blogging. With blogging possibilities are endless and you can make thousands of dollars per month. I am also using this method of earning online and satisfied with it. Blogging is a very simple work, you just have to create a blog and then start writing articles about your favorite topic and share it with your friends then enable ads and start earning money. But it takes time and you have to keep on learning things for doing blogging for a long run. This is something we can call advanced blogging or blogging of today. We can really make thousands of dollars with affiliate marketing and this is something every professional blogger and digital marketer is doing right now. I am also doing it with some of my blogs and they are really converting and if I talk about my minimum commission with an affiliate marketing platform I can proudly tell that it was $65 with a hosting provider affiliate network. And more. Also if you can write product reviews and generate traffic to your blog then you should use Amazon to promote products with publishing their real reviews and then adding an Amazon buy link (affiliated Amazon product link) and whenever someone will buy that item or visit your link and buy another item then you will get your commissions by Amazon. This is something people are doing online to earn huge money. All I can say is you have to be a very informative or high on mind person who can really create things in mind and then elaborate them into text. This is something you can sell online without paying a single penny and there are services which will help you spread a word about your book and help you sell your digital and even hard copy book worldwide. A service called CreateSpace is there to help you upload your book and create an amazing cover then upload it to Amazon and make it always available in stock. This way you can easily can get your own book published and earn royalties without spending a dollar. There are some authors who are earning thousands of dollars on monthly basis just by writing books on different topics and using Amazon to sell their books. You can start this online work from home by choosing a favorite topic and then writing a book with your own thoughts. For this you can read wide range of case studies and books available freely on many book hosting websites. This is the 21st century and everybody is looking for new ways to get connected with their new customers and hunt for new customers. In past times companies and brands were spending millions on arranging offline seminars and creating public meetings or events to advertise their products to a wider audience and thus they were touching bankruptcy and getting their business to fall. With internet, now we can easily and freely create online seminars which we call webinars and they are highly in demand. Almost every type of individuals are happy to join a webinar and watch what experts have to say. Usually people comes to webinars for getting real and hidden information on a particular topic from which they can get benefited. For an example: If you are publishing content on your finance blog for saving money tips and investing tips then you should hold a webinar on how to save money for retirement or where to invest money for sure profits as these are the topics which everybody interested in finance category will actually love to watch. In the end of the webinar you can suggest your paid product or paid classes for which the attendees have to pay (if they want). With this strategy you will make some sales and get more people to know about you and your product or services. This is a business of your experience and you can use your experience in any industry to make money online. There are some professionals like Neil Patel who are really earning thousands of dollars with online consulting programs and Neil is doing great in this business. All you have to do is just give your personal advice on how things works and how brands should use online tools to get more sales and increase in branding. One thing I want to clear here is that nobody will pay you when you are a newbie and giving consultation. People will pay you when you are an expert and give them the core advises which can lead them to get more customers and make more money. You can start a consulting business when you are an expert by joining a platform like Clarity.fm and also you can do it by creating a page for consultancy at your blog and personal website so that people will get to know that you are providing consulting to businesses and they will pay you a hourly fee for each session you spend with them and that fee can be $5 per hour to $500 per hour and maybe more than this. Not just this, you can also create a YouTube channel and start uploading your videos so that you will be famous and people will get to you. You can also make money on YouTube by showing ads and etc, but for consulting business you can use YouTube as a client hunt tool. Teaching is a perfect way to earn money online and thousands of professionals and academy owners are doing to earn big bucks online. You can also do it when you are an expert in something and able to record your videos and show some how to stuff in the screen recorder. However, you can also pick some topics like Learning English Language and more so that you don't have to be a techy person and edit your videos. You can just record yourself teaching on a particular topic with a whiteboard and upload your videos to a teaching platform. And there are a lot more but these are the perfect ones to make you able to receive student fees or put them on payroll and add your videos to create an organized course. These platforms will also help you to reach out to the targeted audience and get more of your course copies sold online. You can become an online tutor and earn thousands of dollars per month. As name suggests that you have to join a CPA network and then see which offer from that platform you can promote and then drive ads for that offer or share it with your friends and when they actually pay for that particular item you will get your commission. That's why its a cost per action business model. And there are many other legit survey sites where you can get paid surveys each week and even each day so that you can easily work on your spare time and pocket some dollars to support your monthly income and add to it. This is last, but not least as its the best ever way to do less work and earn more and keep on earning money when you are at weekends and on vacations. Actually with this option you can earn more money for going on vacations and enjoying your life. Yes, you are right. I am saying that you can make money selling your photos online. This is happening and you can be the next big photographer by taking great pictures with your HD Camera of your high quality smartphone or going professional by taking pictures with a DSLR camera with high resolution. On these websites you can create a partner account and start uploading your own photos and sell them online. They will help you get more customers and give you royalties. Believe me or not, but you can start earning hundreds of dollars per week by taking more and more photos and then uploading them to these big networks. For earning more take professional photos with models and business will buy them so that you can increase your payouts. On this article I have discussed some really simple, basic and most trusted ways to make money online and if you can't make money using one of the above methods then you can't make money online. So try one of the above methods of earning money online and test out your skills. Happy Earning!